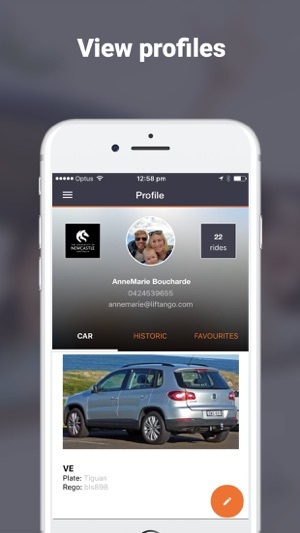 Your exclusive corporate rideshare solution. Liftango is a safe, flexible and easy to use. If you sign-up with your work email address, Liftango is free to use! 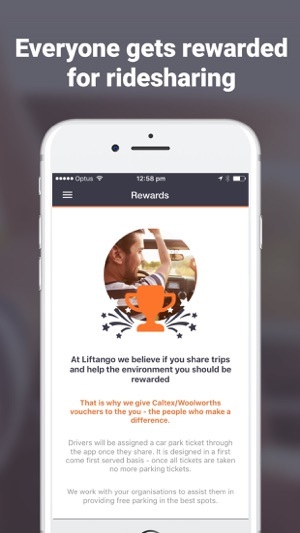 In fact, the more you rideshare with Liftango, the more rewards you get. Join us in the fight against traffic and share your commute today. 3) Share the commute and get rewarded, such as fuel vouchers and guaranteed car parks at your organisation. Our smart route-matching algorithm finds the closest matches to your trip needs, only pairing you with people at your workplace or uni. You can save time, money and help the environment. 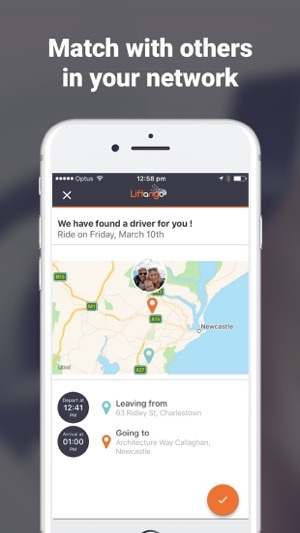 Welcome to the Liftango Rideshare Revolution! I like the idea of this app. 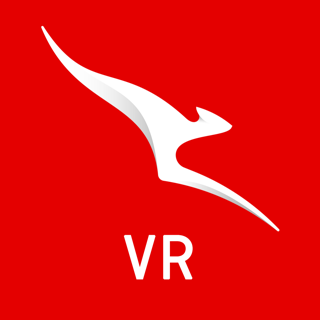 It is a new app that you will like it. The design is excellent and I am sure that it will be very popular and famous in near future. 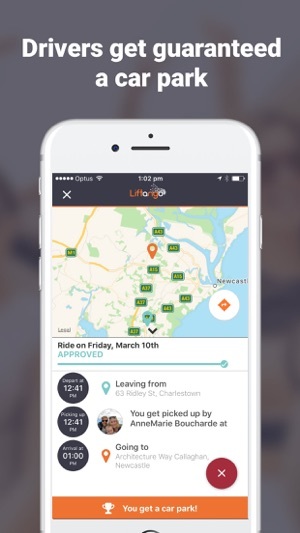 My company just signed up to Liftango and it is made my life so much easier. Me and my mate carpool and we get one of the carparks at my work, works great for us.